NGVA and EBA release a joint roadmap to 2030 document to unveil the role and contribution of natural and renewable gas for a sustainable and decarbonized transport system. The Natural & bio Gas Vehicle Association (NGVA Europe) and the European Biogas Association (EBA) have released a roadmap document. The document unveils the contribution that g-mobility will play to mitigate Greenhouse Gas (GHG) emissions moving rapidly towards carbon neutral solutions for a more sustainable future. 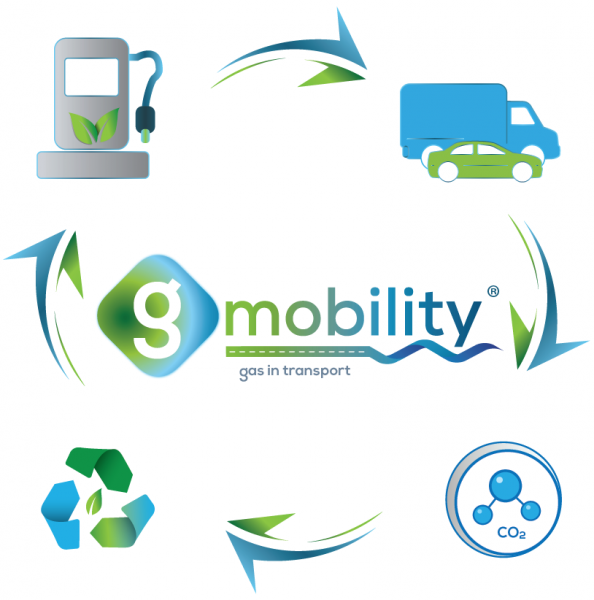 The concept of g-mobility stands for gas as a transport fuel that enables cleaner mobility, low-emissions transport and efficient use of gas in passenger cars, trucks, public transportation, and ships. It has vast potential to enable a cleaner future for transport, in which use of natural and renewable gas contribute to decarbonisation and improved air quality. Estimations about the European Natural Gas Vehicles (NGVs) market evolution show a potential in reaching a fleet of 13 million units in 2030, meaning a factor x 10 compared to today's situation. This will spread out on both the passenger car and the heavy-duty sector. Urban bus & coaches fed by natural gas will see a market penetration by 33% and the freight transport, based on compressed natural gas and liquefied natural gas, will reach a 25% market share, thus offering a real alternative to conventional diesel also for long-distance missions. In parallel with this evolution, the production of renewable gas will increase too: in 2030 a conservative estimation shows a production potential close to 45 bcm (today is approximately 2 bcm). This will theoretically be able to overcome the entire fuel demand from the 13 million unit fleet (around 30 bcm). Nevertheless, NGVA and EBA estimate that in 2030 the average value of renewable gas used in the transport sector in Europe will be around 30%. This will translate to a very concrete contribution to decarbonisation: 30% renewable gas will provide a GHG emissions reduction of more than 45% compared to conventional fuels on a Well to Wheel basis. When considering the potential in using 80% renewable gas mix, a complete carbon neutrality can be achieved. It is fundamental, that the legislative framework will maintain an open stage to all solutions: transport will need a clever integration of different technological approaches, including of course electrification, and we need to leverage on the best combinations of efficient engines and clean and renewable fuels. Under this perspective g-mobility results a key solution, able to immediately contribute to a faster acceleration towards a clean and decarbonised transport system. Click on the picture to download the document and here to download the press release.